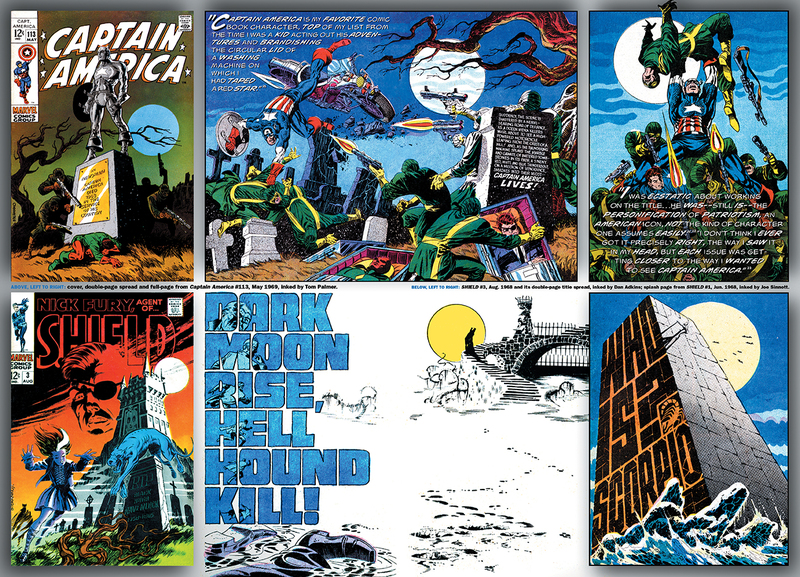 In the seventh of a series of nine weekly tributes to the great artists of the Silver Age, Arlen Schumer looks at the enduring legacy of JIM STERANKO. 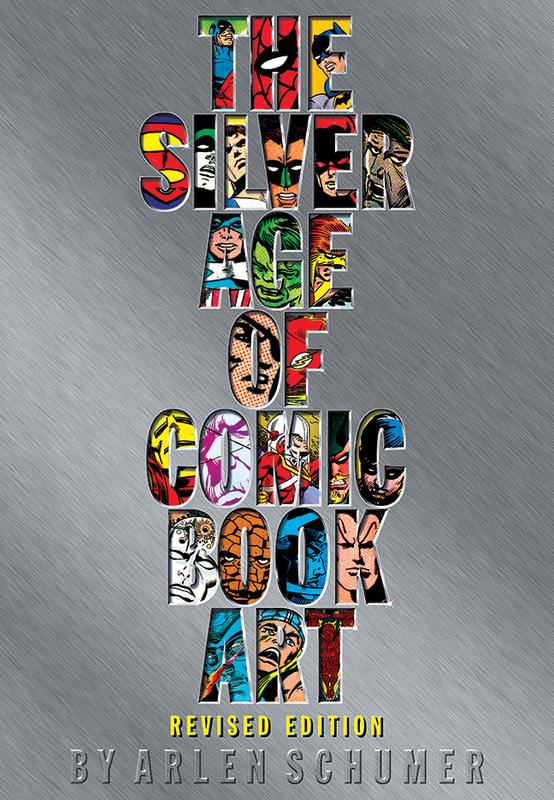 Arlen’s The Silver Age of Comic Book Art is revised and back in print, a lustrously illustrated hardcover, coffee-table book. Across nine weeks we’re serializing excerpts from nine chapters, shining a deserving spotlight on greats like Infantino, Kirby, Adams, Ditko and more. Chapter 1 featured Carmine Infantino. Chapter 2, Steve Ditko. Chapter 3, Jack Kirby. Chapter 4, Gil Kane. Chapter 5, Joe Kubert. Chapter 6, Gene Colan. Jim Steranko has worn many hats in his career — artist, author, illustrator, art director, designer, entertainer — but he wore them all when he put on quite a show at Marvel Comics at the end of the Silver Age. It began in 1966 when, as a virtual unknown, he was handed complete control of a second-string character from Jack Kirby, the James Bond-knockoff Nick Fury, Agent of SHIELD. He promptly used Fury as an unlikely launching pad for his meteoric rise to prominence. 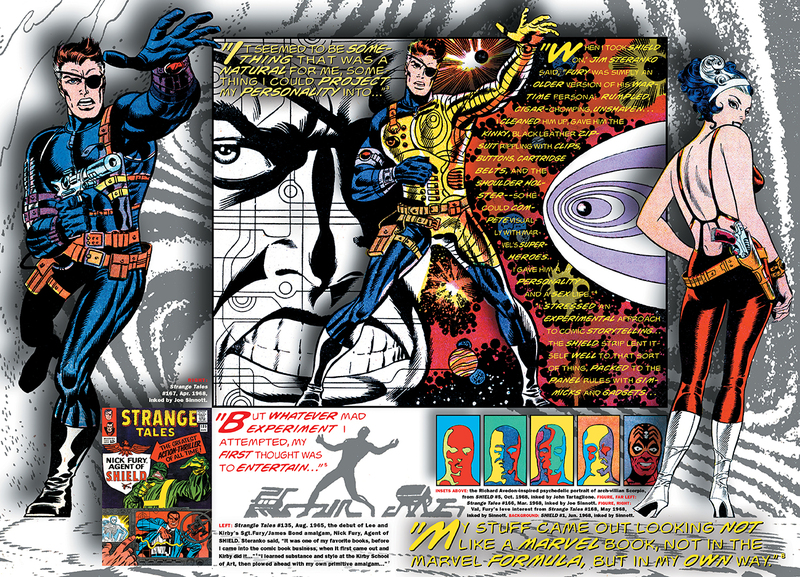 Steranko invested the B-feature with a startling array of cinematic and stage storytelling techniques, wedded to the ascendant Kirby/Marvel style of in-your-face power. The combination was an explosion of alchemical proportions, and it blew the field wide open. 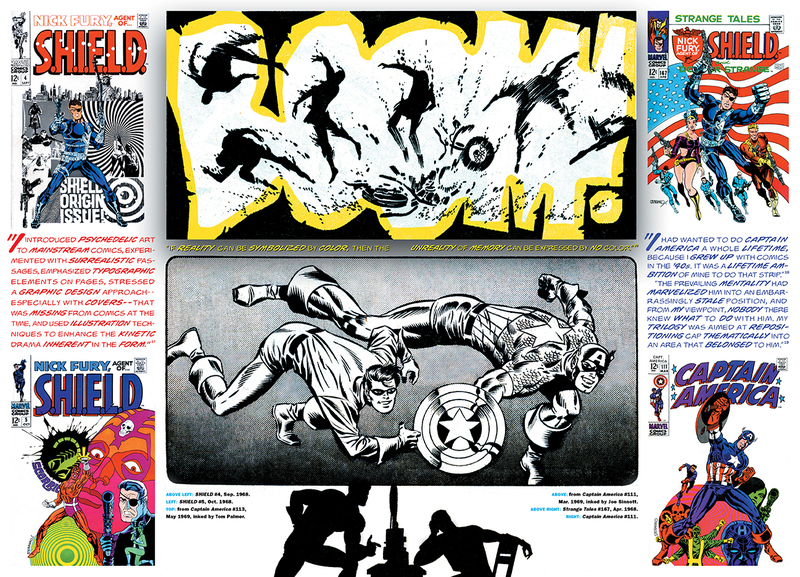 Each issue, indeed each page of Steranko’s Marvel works — including a stunning trilogy of Captain America stories — was a supercharged surprise, as Steranko relentlessly, iconoclastically experimented with mixed media applications, fusing a graphic designer’s with an illustrator’s approach to the medium of sequential storytelling. Steranko wrote his own material as well. 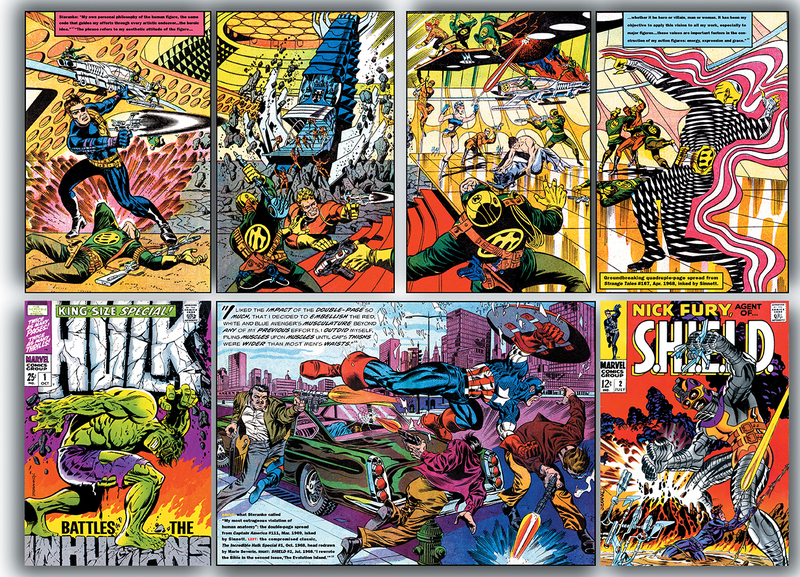 Jim Steranko, Superstar — he came, saw, and conquered. By 1970, he had left the mainstream comic book world to conquer others. 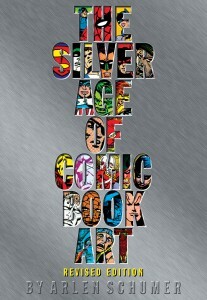 To order a signed hardcover from Arlen directly, hit up www.arlenschumer.com. There are also links to Archway Publishing (an offshoot of Simon & Schuster) for the unsigned hardcover and an e-book edition.